Sliding door systems are known for its simplicity and convenience. For starters, they will let you have the natural light keeping out insects. They are easy to maintain and easy to operate. One of the few examples of manufacturing sliding windows and sliding glass door systems is Okotech. It’s a uPVC profile manufacturer which uses German technology and adheres to the strictest greenline norms of the European markets. These sliding door systems are three times more effective at maintaining cool temperatures within a building. One of the best things is that they are made up of lead-free substances which makes them environmentally friendly. Okotech makes sure that they use the best equipment. That is why they use top-notch German extrusion lines and advanced laboratory equipment that is certified by NABL accredited agencies to manufacture their profiles. As one of the best sliding door system manufacturer, Okotech undergoes the highest form of the quality check. They have 18 rigorous quality checks and there is a specific team in the unit which handles quality control. This is how they make sure that they remain one of the best manufacturers. 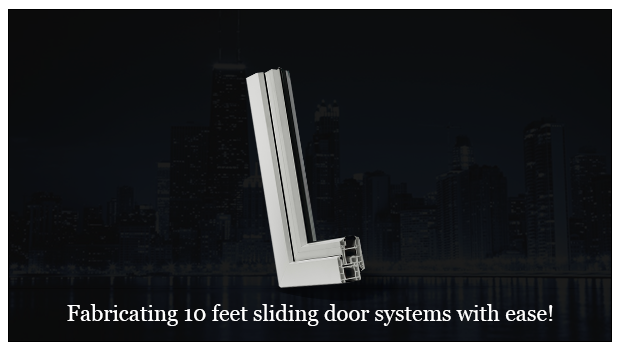 Okotech’s window sliding systems are 1800 mm high and having 2000 mm width. Their manufacturing makes them suitable for all weather condition so you can enjoy the view without any obstacles. They are highly malleable and are pollution resistant. The door sliding systems at Okotech are 3000 mm high with 2400 mm width. As mentioned above their manufacturing makes them suitable for all weather condition. This quality will always let you live termite free. The sliding glass door can let you do your work while enjoying the view. They are highly malleable and pollution free. Okotech’s assurance of quality and great variety is what makes them the best choice for buying the sliding door system! For additional information, just explore.